April is Celebrate Diversity Month! Upcoming Portland Event March 31st! Please Tell Your Friends and Join Us! 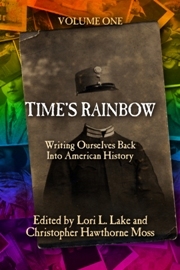 Time's Rainbow is now Available! Even after all these years, someone periodically reviews my novel, Gun Shy. The latest generous soul is the incomparable Ruth Hohnke writing at DIVA. CLICK HERE to read what she has to say! Books and Women and Valentines! Come to Tabor Space in Portland on Saturday night, February 11 at 7PM, to hang out with seven dwarves - I mean, seven terrific writers! <g> We'll have chocolate and books and readings and discussion and lots of fun! Please join us! This has been a long hard lesson to learn - but after a few decades on earth, I think most people tumble to this conclusion. I certainly have. 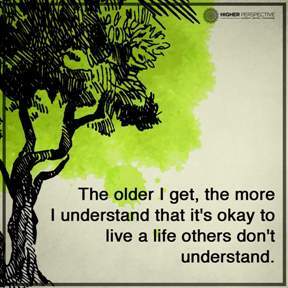 I don't always even understand my own life, but it's good to live it my way. 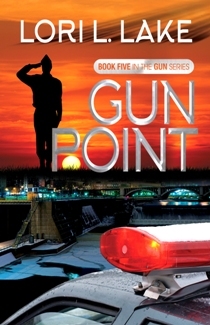 I am so pleased to unveil the cover for the newest book in the Gun Series - #5! It'll be a few months before the book is complete, but I'm working on it as fast as I can. 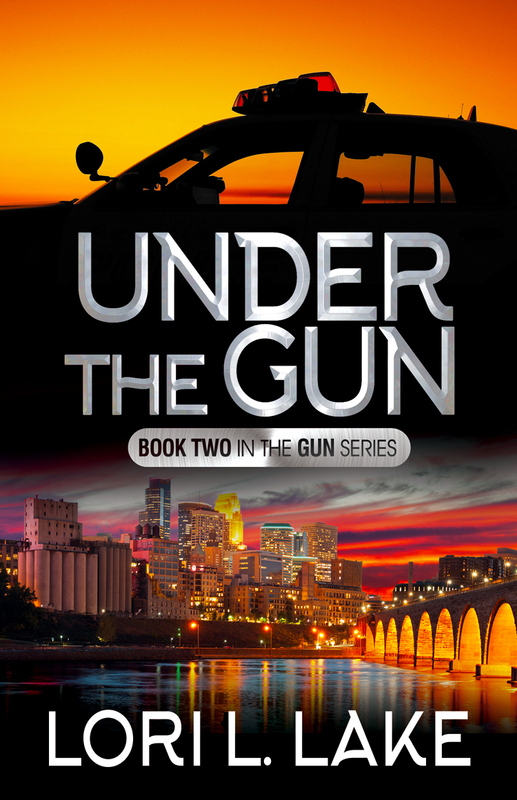 Meanwhile, Gun Shy, Under The Gun, Have Gun We'll Travel, and Jump The Gun all have new covers as well! Check them out in the panel to the right. There's GOLDIES in them thar hills! We won! We won! Just found out tonight! Jessie's and my edited anthology, Lesbians on the Loose: Crime Writers on the Lam won a GCLS Goldie Award. YAY! How cool is that?! CLICK HERE to see all winners! The crime fiction anthology Jessie Chandler and I edited was a finalist at the Rainbow Awards. Yeehaw! "I cant say Ive ever read an anthology where every story was a complete hit with me, but this one was so consistently good that I genuinely enjoyed every story in it. The variety is entertaining, the brevity a challenge the authors rose to, and the theme has interpretations both lighthearted and serious that worked equally well. One of the better anthos Ive read." High praise that we all appreciate! Please go on the lam with these fifteen criminally talented authors! My Keynote Video is available now. CLICK HERE to view and listen. American Library Assoc. reviewer Sue Hardesty included my Gun books in a round-up of "Ten Mystery Romance Series with Lesbian Sleuths." I know some of the other authors as well, such as Lynn Ames, Jessie Chandler, Elizabeth Sims, Erica Abbot, Rose Beecham, and RE Bradshaw. 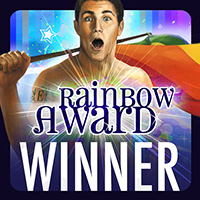 Eight Dates won in the Romantic Comedy category at The Rainbow Awards. I am so delighted I can hardly speak! Thanks to Elisa Rolle and all the judges who read almost 600 books for the entire contest. Great review for EIGHT DATES at Lambda Literary - CLICK HERE to read it. I'm thrilled that that Anna Furtado, in part, wrote: "Telling a story in first person while keeping it fresh and exciting to the reader is a difficult task for any writer, but Lake accomplishes this undertaking masterfullyand does it with both style and wit. There are laugh-out-loud moments in this story as well as scenes filled with poignancy, honesty and tenderness. This offering by Lori Lake is quirky, funny, and refreshingly real." Hurray for such a nice review! I finally got to meet Jean Auel! At the annual Oregon Writers Colony Founders Day at Rockaway Beach's Colonyhouse, I served up a cup of coffee to a woman - and it turned out to be Jean Auel! Later I facilitated a fiction discussion group, and Jean joined in and was a wealth of information and humor. Woweeeee---what a day! Lee Lynch talks with me in THE ADVOCATE on "Lesbian Mystery, Police Raids, and Fairy Godmothers"
I had the great honor of doing an Advocate conversation with award-winning GCLS Trailblazer Lee Lynch. All contents of this web site are protected by U.S. and International copyright laws and may not be reproduced in any manner without the written consent of the author and/or her publishers. Please contact lori (at) lorillake (dot) com with questions. For excerpts: Click on Title or Cover! With Brenda Adcock's wizardry, there are now movie trailers, complete with music, for two of my books. Click below to see - make sure you turn on your speakers, too. My novels and short story collections can be purchased through any bookseller or online. If a store doesn't happen to have copies on hand, they will order them for you. CLICK HERE if you want to contact me to get autographed copies. The gals at Bella carry books by an enormous variety of authors, and they're distributing my eBooks and print books. CLICK HERE to get the books in Mobi and ePub formats. Kobo Ebooks also carries LGBT books by a variety of authors. CLICK HERE to get my books for the Kobo eReader. Amazon.com carries my books in the Kindle E-Book format. CLICK HERE to purchase novels and short story collections for your Kindle eReader. Barnes & Noble - BN.com - carries my books in their Nook E-Book format. CLICK HERE to purchase novels and short story collections for your Nook eReader. Click the image below to Friend me on Facebook! A.J. Llewellyn at Dark Diva's Blog did an extensive interview with me. CLICK HERE to find out all my deep dark secrets. The interview shows up on the March 4 entry. Earl Kemp's online 'zine, eI, has featured a memoir piece I wrote called "There is No Reason Not To Trust that the Act of Writing Will Be Enough." CLICK HERE if you'd like to read it. 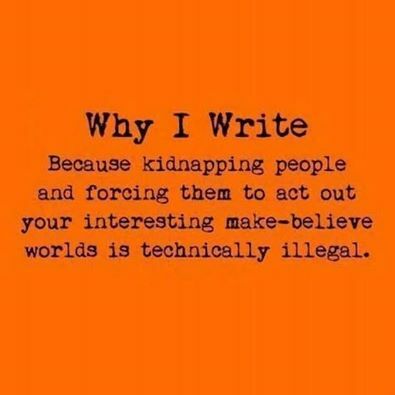 MYSTERICAL-E featured a long interview with me about writing, creativity, book themes, etc. There are several great stories featured in this issue as well as other podcasts and interviews by a variety of terrific authors.